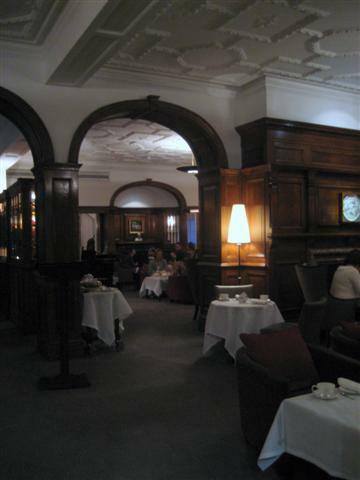 Brown’s has an extensive range of teas; a total of 17 teas to choose from. We finally decided to go for the Cornish grown tea and Brown’s Afternoon Blend. I was intrigued by the Cornish grown tea as it is the first true English tea, which is grown in a tea plantation near Truro. 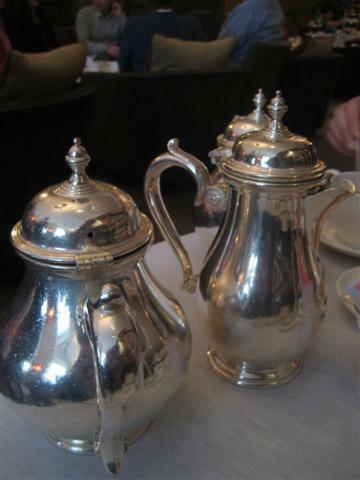 Both teas were great and were served in silver teapots. We were given additional hot water and a jug of milk. The staff also replaced our cups and refilled our teapots halfway through our Afternoon Tea sitting. 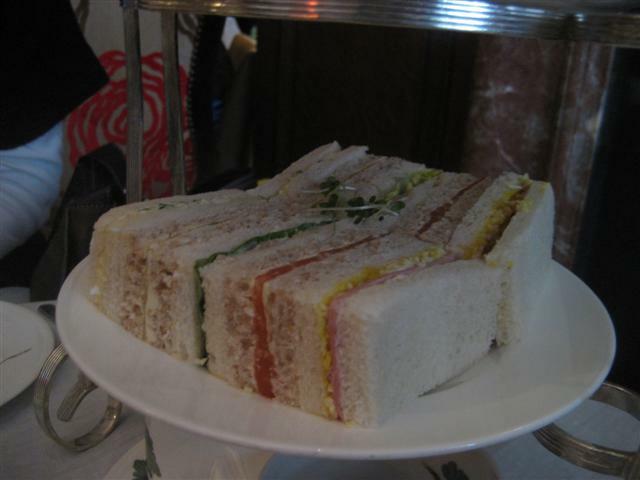 The selection of sandwiches included egg, ham and mustard, cucumber, smoked salmon, chicken; all were really fresh. We could have had more, as the staff did ask us if we wanted another plate of them, but we thought it best to have some room left for the cakes and pastries. Both the fruit and plain scones were delicious. 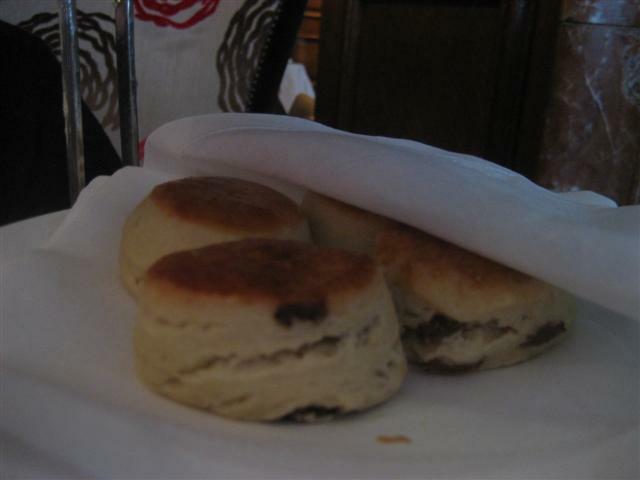 They were just the right size and were perfect when topped with the clotted cream and strawberry preserve. The strawberry preserve was some of the best that I have ever had. Brown’s gets a lot of compliments about its strawberry preserve and the staff told me that they are now looking into ways to bottle it up, so that it could be made available to purchase. There were a choice of two cakes from the cake trolley. One was a classic Victoria sponge and the other was a fruit cake. The Victoria sponge was light and was filled with cream and jam. The final plate consisted of assorted cakes and pastries and we were spoilt for choice. The orange macaroon had the right crunchiness and a great chocolate filling. The other cakes were lemon tart, cream filled profiterole, chocolate cake topped with chocolate cream, and a rhubarb compote topped with cream. All of the cakes were yummy and it was a nice selection to have. 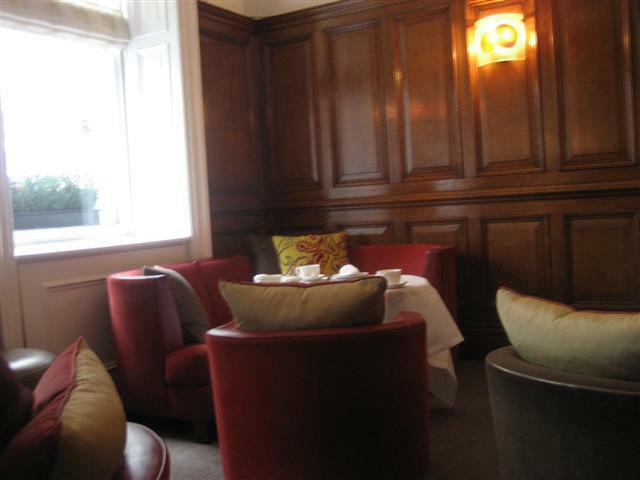 The English Tea Room has two open fires, wooden panels, soft lighting, big arm chairs and sofas. There was live soft piano music playing in the background which suited the relaxed atmosphere. It was nice that the Tea Room felt quite spacious. The staff were excellent and very attentive. 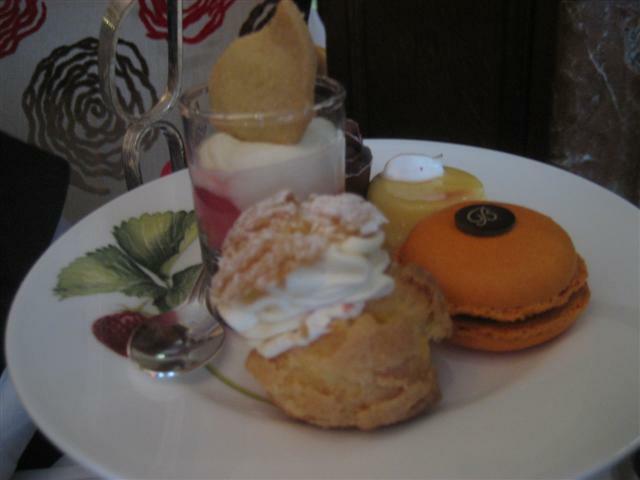 It is essential to make a reservation and on weekends, you are only allocated an hour and a half in the Tea Room. We still had not finished in that time, so it was really great that the staff allowed us to take our cakes through to the bar area. A bonus is that you are given a small sample of the tea leaves to take home with you. I wholeheartedly agree with you about Brown's afternoon tea. And might I add that many of the tables are low, which is perfect for a proper afternoon tea.